The Associated Press reported the address would be brief. The day of the speech, Saturday, March 4th, 1865 dawned with steady rain. Streets oozed with mud. Like a shroud, fog wrapped its gray arms around the city. At 11:40 that morning, the rain suddenly ended. 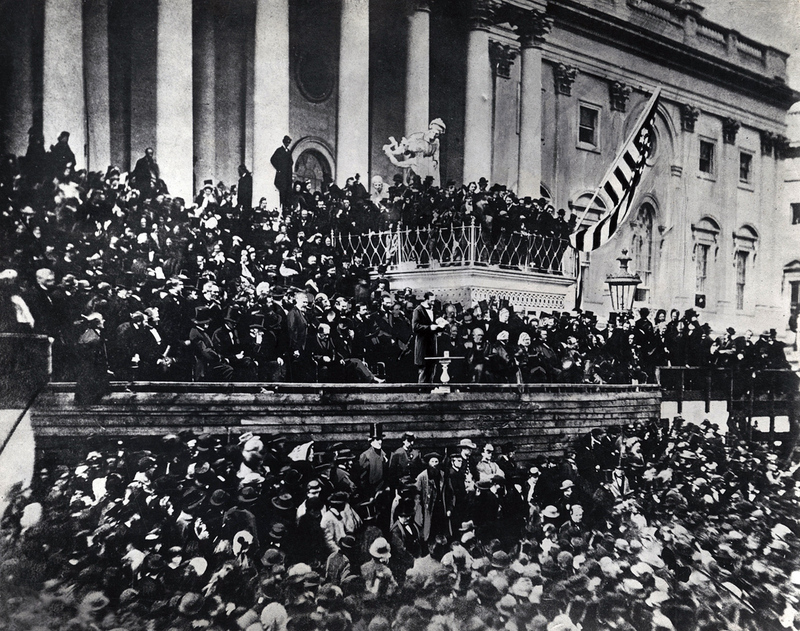 The clouds began to part, and finally, on a wooden platform before the east portico of the Capitol, the 16th president was introduced. He arose from his chair, put on his steel-rimmed eyeglasses, and stepped forward to speak. In his left hand was a copy of his inaugural address. It was his second, and with a nation weary of civil war, with a population hoping for peace, and before an expectant crowd that needed a soothing message, he began. As he did, the sun broke through the clouds . This is the story about what he said; his second inaugural address, and despite what you may think, the one he truly believed was his greatest. At 750,000 square miles, the Confederacy was huge, and to put down the rebellion, Mr. Lincoln's armies had to go on the offensive. They would have to be the aggressor. It was a daunting task; even more so in the Confederate West where there existed poor transportation and communication networks. Known early on as The Western Department or Department Number Two, three major rivers offered invasion avenues into the heartland of the south: The Mississippi, Tennessee, and Cumberland. This is the story of a federal campaign led by an officer who was a most unlikely hero, one forced to resign from the United States Army back in 1854. This is about his campaign to blast open doors into the interior of the Confederacy. This is the story of Thunder On The Rivers Tennessee And Cumberland: Forts Henry And Donelson. By late December of 1864, dark waters were closing over the Confederacy. Back in August, David Farragut's fleet successfully bottled up Mobile Bay. Two months later, up in the Shenandoah, federal victory at Cedar Creek opened the valley to fire and desolation. 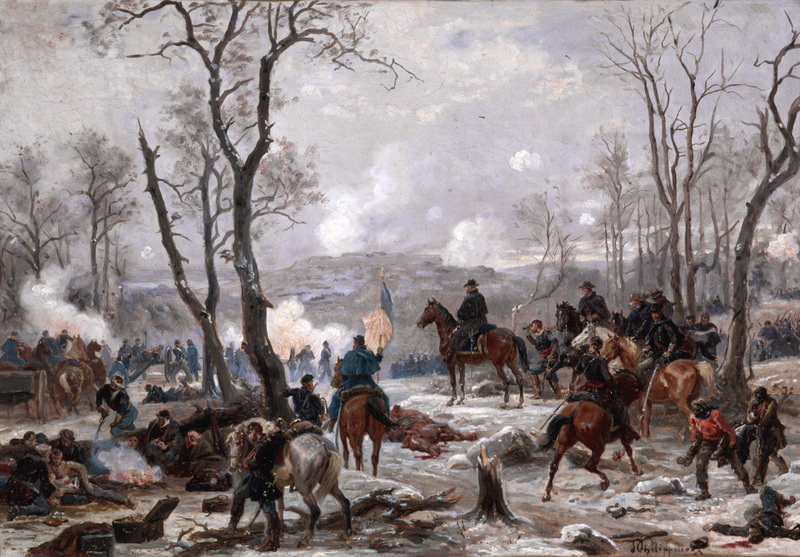 In November, William Sherman marched his army across Georgia, and as he entered Savannah in December, he envisioned a similar path of destruction north through the Carolinas. 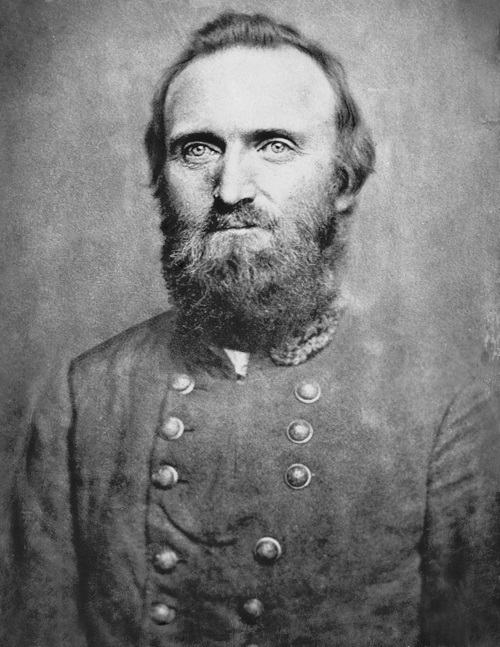 That same month, over in Tennessee, George Thomas won a decisive victory at Nashville, and in Virginia, U.S. Grant continued to pin down Lee's army at Petersburg. Though the noose was being tightened round the neck of the Confederacy, there was still one major supply line and portal from which the shrinking Confederacy could count on supplies from the outside world. That railroad line was so vitally important Robert E. Lee tabbed it "the lifeline of the Confederacy." It ran from Petersburg south to Weldon, North Carolina and then down to the port city of Wilmington. This is the story of the massive fort that protected that city; that lifeline. Fort Fisher: The Gibraltar Of The Confederacy. 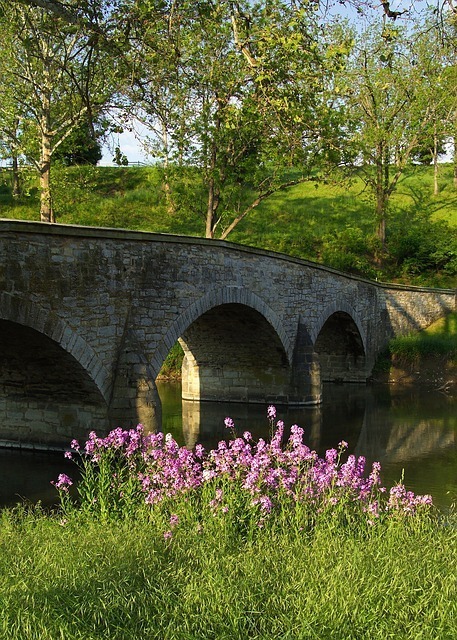 Fredericksburg, Virginia was a little town with a long history. It was here that a young George Washington roamed. And, there were others of national fame who once made this locale home; John Paul Jones and James Monroe. But during civil war, its location made it, some 51 miles north of Richmond and 52 miles south of Washington City, a military target. On November 7, 1862, some forty miles or so to the northwest, there was an event that, when played out, would put Fredericksburg squarely in the cross-hairs of civil war. 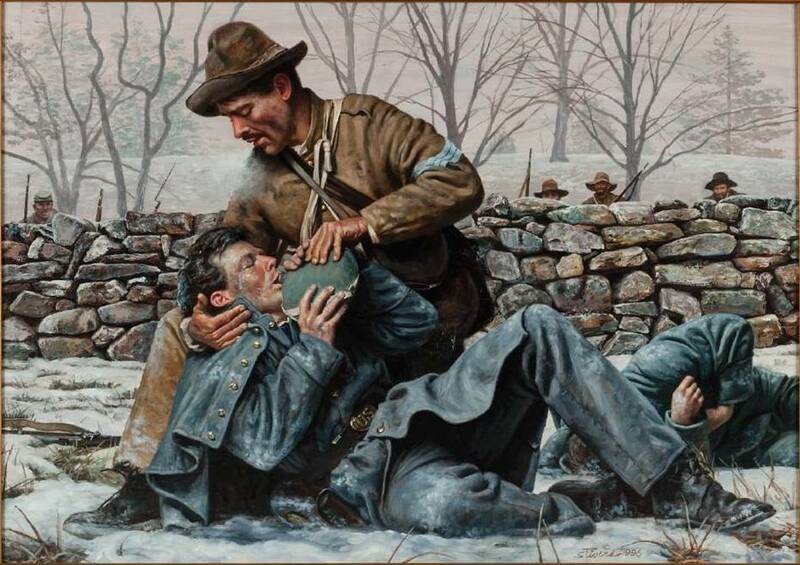 This is the story of the Battle Of Fredericksburg and the shared winter of 1862-'63. This is the story of a man and his words. It begins in the aftermath of bloody consequences that emanated from the first three days in July, 1863. 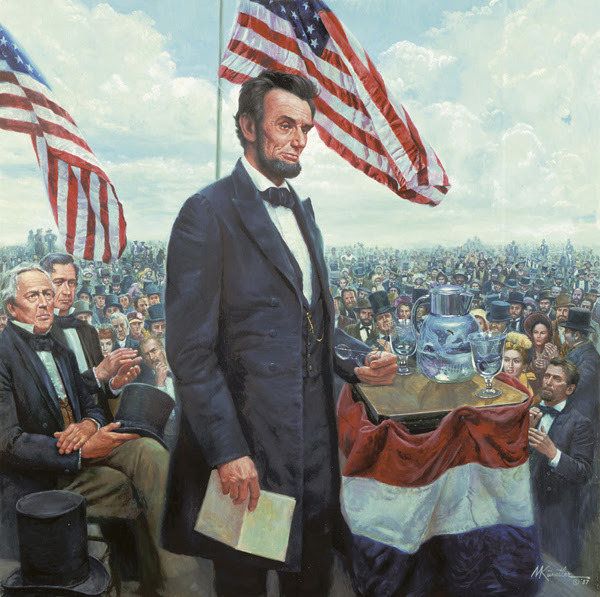 This is the story of Mr. Lincoln's trip to Gettysburg and the Gettysburg Address. This is the story of the Ram Of Roanoke - The CSS Albemarle, an ironclad constructed not in a shipyard, but incredibly, in a Halifax County, North Carolina corn field. It would completely reshape Federal strategic plans in North Carolina, Virginia, and the entire Eastern Theater of the American Civil War. This is the story of the Battle of Sharpsburg, of Antietam, the bloodiest single day in the history of this nation. It was an engagment that moved popular historian Bruce Catton to write that September 17, 1862 was a day of sheer, unadulterated violence. It's been written that Helen of Troy possessed "the face that launched a thousand ships." 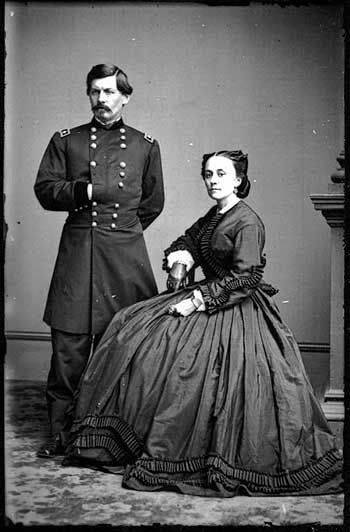 Well, may I introduce to you Ellen Marcy McClellan, the wife of Union MG George Brinton McClellan, who launched thousands of words. Her husband wrote to her daily, and through his letters, we know so much more than, perhaps, he ever intended for us to know. Excerpts of more than 250 of his letters to her were included by Geroge McClellan's literary executor, William C. Prime, in his biographical work McClellan's Own Story which was published in 1887-two years after the general's death. Prime wanted to honor McClellan-to tell his side of the story. However, the biographer's work reopened old wounds and damaged, forever, McClellan's military reputation. This is the story of the brilliant yet controversial "Young Napoleon"...the Union's "Little Mac." In the first months after war began, both North and South mobilized. Men were needed to fill the ranks. In the North, the 16th President, Abraham Lincoln, called for 75,000 three-month volunteers. Seeking excitement, adventure and certain this would be a short war, they came en masse. To them, politicians and the press, the war's strategy was simple, "On to Richmond." This is the story of how wrong they were. 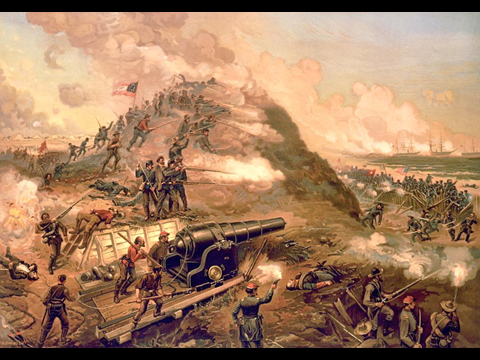 July 21, 1861 - a day when expected battlefield glory morphed into the grim reality of what war truly is. Hard lessons learned some 25 miles to the southwest of Washington City - on the plains of Manassas. His journey had been nothing short of remarkable. From an orphan from western Virginia to matriculation to West Point where, there, along the banks of the Hudson, he had been an Immortal - placed in the weakest academic section. And yet, he willed himself to graduate 17th out of 59 in the talented Class of 1846 - a class that produced twenty generals. From there, he found confidence and promotion in Mexico, but thanks to a contentious relationship with a post commander in Tampa, he resigned his military commission as an officer and accepted an opportunity to teach at VMI. Eccentric and demanding, his single-mindedness made him an unpopular professor. However, that same trait propelled him to successful command in the coming civil war. At Manassas, his brigade helped to turn the tide of battle and earned him a nickname, perhaps, the most famous in American military history, but his eccentric behavior and aggressiveness concerned some in Richmond. Not enough, however, to keep him from independent command when the CSA capital was threatened in the spring of 1862. It was then, all those traits - single-mindedness, aggressiveness, a propensity for secrecy - came together, and he successfully designed and carried out one of the most masterful campaigns in military history. 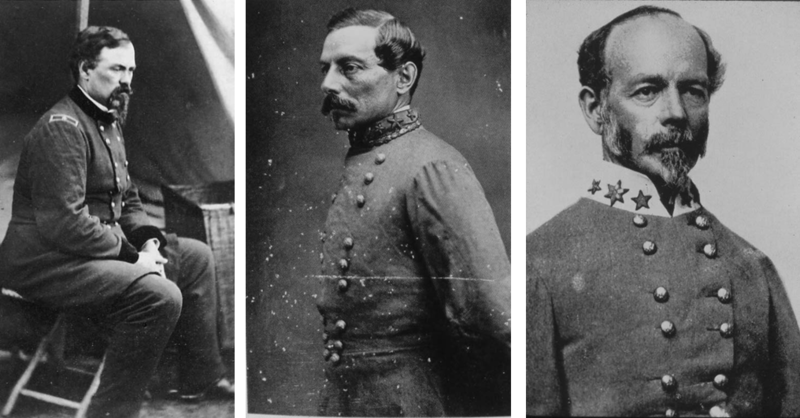 By late spring, his Shenandoah Valley Campaign - despite his oddities, his demand for discipline and dour personality - elevated him to such stature that he may well have been the most well-known CSA general and, for the North, the most feared. Indeed, his journey thus far had been quite amazing. And now, we continue the story of the man known as "Stonewall." History is, indeed, a story. With his unique voice and engaging delivery, historian and veteran storyteller Fred Kiger will help the compelling stories of the American Civil War come alive in each and every episode. Filled with momentous issues and repercussions that still resonate with us today, this series will feature events and people from that period and will strive to make you feel as if you were there.